I’m sure all of the artists showing are frantically getting ready for ART IN THE BARN this weekend. 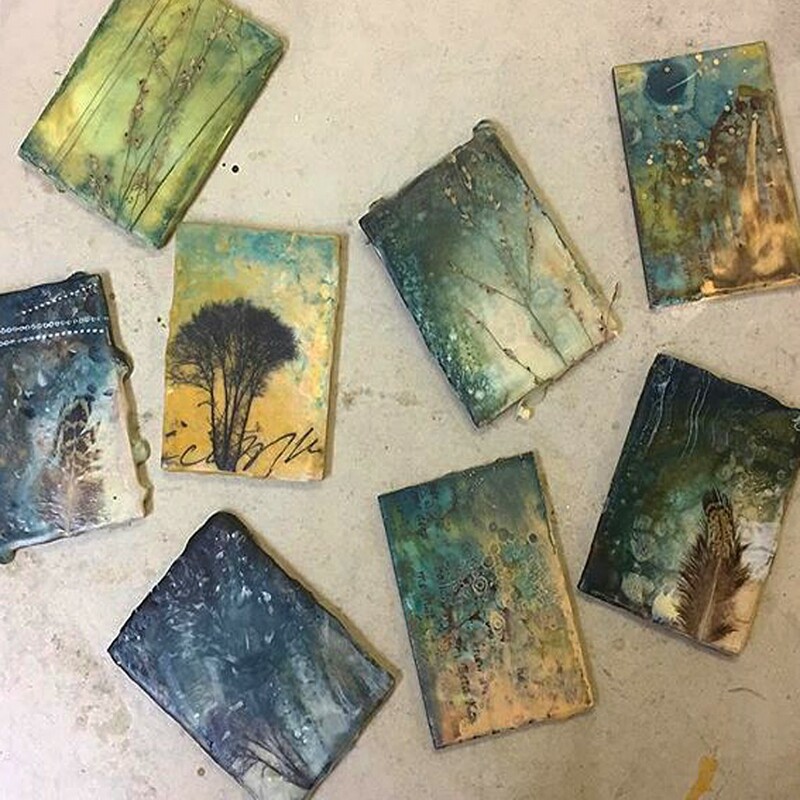 I know that my friend & master painter Cheryl Holz is cranking out a lot of new work… including these minis with paint, encaustic, inclusions, etc. The best part is that these minis are destined to live in the soda-fired picture frames that I made. It’s been a fun collaboration project… coming soon to ART IN THE BARN. We’re both in The Barn… Cheryl is upstairs, and I’m downstairs!! !